Sidney Frederick Gray was born in 1892 in Shaftesbury. He was the son of Thomas John Gray, a Carter, and Elizabeth Gray née Gumbleton. At the time of the 1911 Census the family were living in the Shaftesbury Workhouse in Breach Lane. Elizabeth was described as a “Washerwoman and Inmate of the Workhouse”. Sidney was single and working as a House Servant in Portland Place in London. He enlisted in Salisbury as a Private in the 5th Battalion of the Dorsetshire Regiment (Service No. 10661). He served in Mesopotamia and was awarded the Victory, British War and 15 Star medals. He died at Gallipoli on 27th August 1915 and his name appears on the Helles Memorial (Panel 137 to 140) in Turkey. Ernest James Mullins was born, along with his twin sister, Bessie Ada, in 1883 in Donhead St. Mary, Wiltshire. He was the son of Adam Mullins, a market gardener, and Sarah Priscilla Mullins (nee Galpin), a dressmaker. On 13th October, 1904 Ernest married Ethel Bessie Miles in Gillingham, Dorset. There was one son of the marriage. At the time of the 1911 Census they were living in Blackford, North Cadbury, Somerset where Ernest was working as a farm labourer. He enlisted in Castle Cary, Somerset, as a Private in the Somerset Light Infantry (Service No. 22569). He later transferred to the 5th Battalion of the Dorsetshire Regiment (Service No. 19046) and served in France & Flanders. He was killed in action on the Somme on 11th January 1917 and his name appears on the Thiepval Memorial in France. 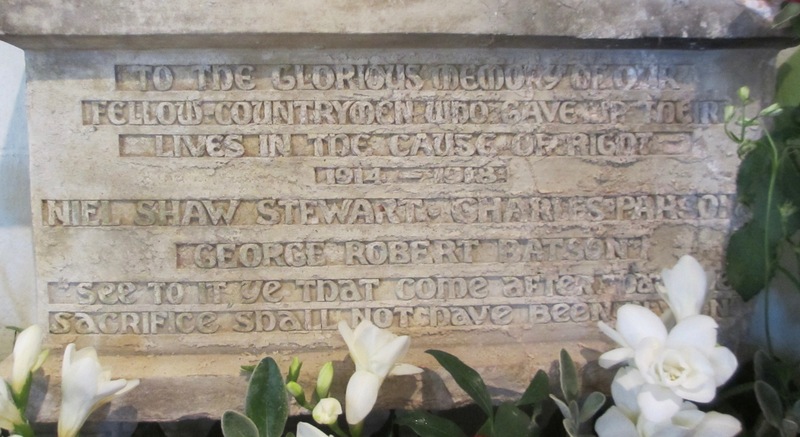 He is remembered on the War Memorial and Roll of Honour in St. Michael's Church, Blackford, Somerset. Alfred Edward Wills was born in 1891 in Winterbourne Herringston, Dorset, and baptised at Winterbourne Monkton on 25th October, 1891. He was the son of Alfred John Wills, a Dairyman, and Laura Wills (nee Gollop). His siblings included William, born in 1890, who also died in the war. At the time of the 1911 Census he was single, working as a Gardener and living-in at Herringston House, Dorset, and employed by the landowner, Edmond Williams. His parents lived at White Bridge, Semley, Wiltshire. He enlisted as a Private in Dorchester on 31st August, 1914 and joined the 5th Battalion of the Dorsetshire Regiment (Service No. 10638). He served in France & Flanders and was awarded the Victory, British War and 1915 Star medals. He died on 26th September 1916 and his name appears on the Theipval Memorial in France (Pier & Face 7 B). He is remembered on the Semley Baptist Chapel plaque, now in St Leonard's Church, and on the War Memorial in St. Leonard's churchyard. William Wills was born in 1890 in Stratton, Dorset and baptised at Winterbourne Monkton, Dorset, on 19th October, 1890. He was the son of Alfred John Wills, a Dairyman, and Laura Wills (nee Gollop). His siblings included Alfred Edward, born in 1891, who also died in the war. At the time of the 1911 Census he was single and living at White Bridge, Semley, Wiltshire. He enlisted in Dorchester as a Private in the 5th Battalion of the Dorsetshire Regiment (Service No. 10639). He served in France & Flanders and was awarded the Victory, British War and 1915 Star medals. He died on 1st October 1916 and was buried at Boulogne Eastern Cemetery, Boulogne-sur-Mer, Pas de Calais, France (grave id. VIII.C.163). 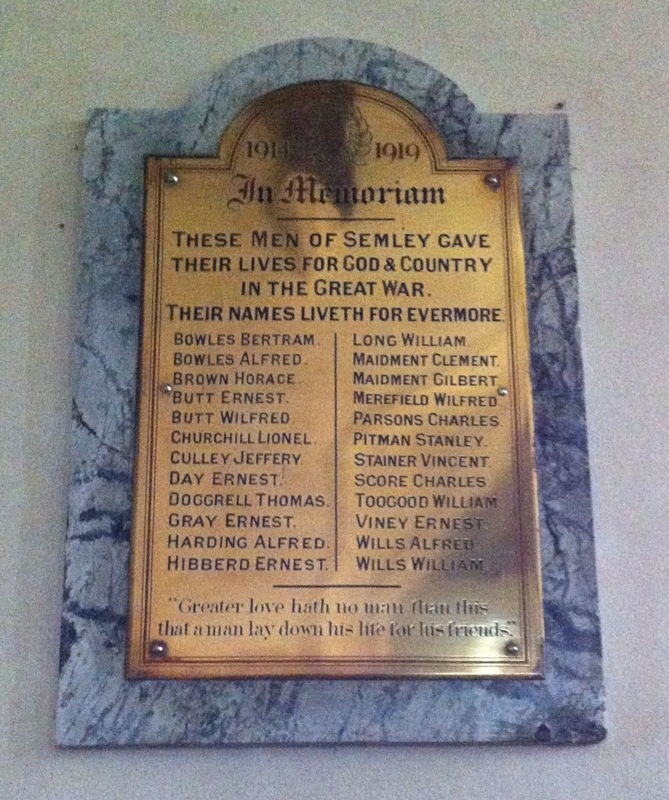 He is remembered on the Semley Baptist Chapel plaque, now in St Leonard's Church, and on the War Memorial in St. Leonard's Churchyard. Charles George Parsons was born in 1898 in Semley, Wiltshire. He was the son of Walter Joseph Parsons (known as Joseph), a general labourer, and Frances Parsons (nee Frost). At the time of the 1911 Census he was single, a Scholar and living at Huggler's Hole Cottages, Semley. He enlisted in Shaftesbury as a Private and joined the 6th Battalion of the Dorsetshire Regiment (Service No. 14501). He served in France & Flanders and was awarded the Victory and British War medals. He died on 9th November 1916 and was buried in the Guards' Cemetery, Lesboeufs, Somme, France (grave id. X.X.8). He is remembered on the Memorial Plaque in St. Catherine's Church, Sedgehill, the War Memorial in St. Leonard's churchyard, Semley, Wiltshire, the Semley Baptist Church Memorial Plaque (now in St. Leonard's Church) and in Salisbury Cathedral Book of Remembrance. Alfred Radcliffe Bowles was born in Semley, Wiltshire, in 1895, and baptised there on 25th December, 1895. He was the son of Frank Bowles, a Foreman Platelayer, and Bessie Alice Bowles (nee Trevelian). His siblings included Bertram Percival Bowles, born in 1893, who also died in the war. At the time of the 1911 Census he was single, working as a Farm Labourer and living at the Old Workhouse, Semley, Wiltshire. He enlisted in Semley as a Private and joined the 2nd/4th Battalion of the Dorsetshire Regiment (Service No. 2463 later changed to 200790). He served in India where he died on 16th October 1918 whilst on attachment to the 3rd Wireless Section, Royal Engineers. (There is a note on the WGC record that he was buried in the Tank Cemetery 35 but no other information is given.) His name appears on the Delhi Memorial (India Gate) (Face 23). 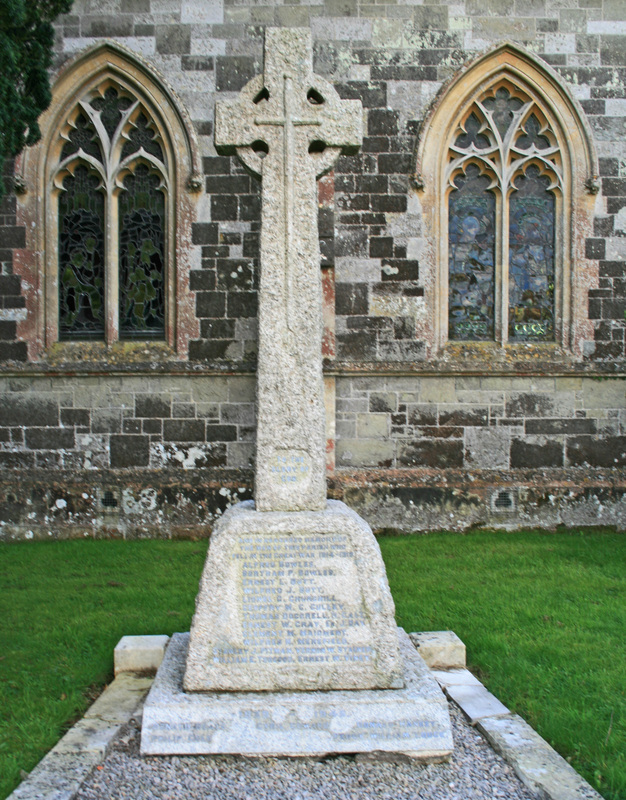 He is remembered on the Semley War Memorial in St. Leonard's churchyard, and on the Roll of Honour inside the church. 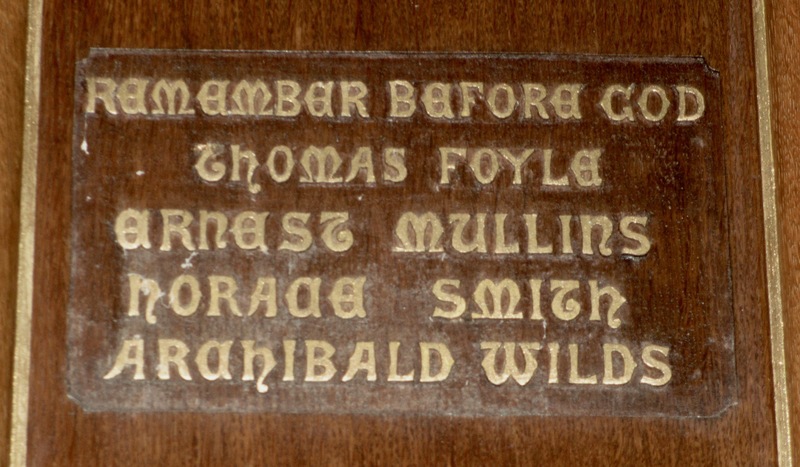 His name was included on the Baptist Chapel plaque, now also in the church. Ernest William Gray was born in Semley, Wiltshire, 1891 and baptised there on 20th September, 1891. He was the son of William Gray and Mary Jane Gray (nee Rogers). At the time of the 1911 Census he was single, working as a Farm Labourer and living at the Old Workhouse, Semley, Wiltshire. 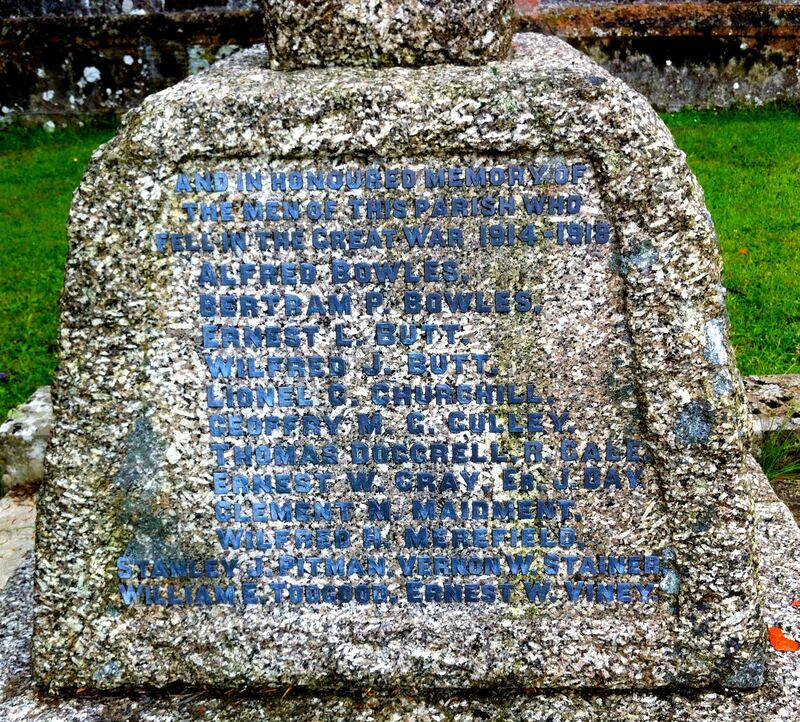 He enlisted in Shaftesbury as a Private and joined the 6th Battalion of the Dorsetshire Regiment (Service No. 19525). He served in France & Flanders and was awarded the Victory and British War medals. He died on 12th April 1917 and his name appears on the Arras Memorial, Arras, Pas de Calais, France (Bay 6). 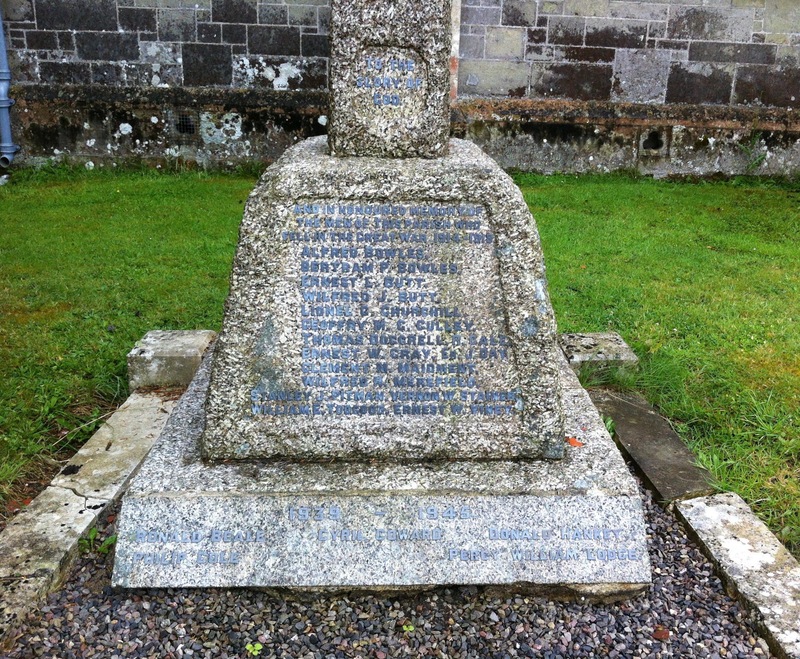 He is remembered on the Semley War Memorial in St. Leonard's churchyard, and on the Roll of Honour inside the church. His name was included on the Baptist Chapel plaque, now also in the church. William Long was born in 1888 in Cadeby, Leicestershire. He was the son of Henry Long, a Gamekeeper, and Amy Long (nee Bailey). He married Mary Ann Graver at Walsingham, Norfolk, in 1907. At the time of the 1911 Census, he was living at Cottage Row, Gaywood, Kings Lynn, Norfolk with his wife and children - one boy and one girl. He enlisted in Shaftesbury (having by then moved to Semley, Wiltshire,) and joined the 2nd Battalion of the Dorsetshire Regiment (Service No. 14861) and served in Mesopotamia. At the time of his death on 10th December 1917 he held the rank of Sergeant. His name appears on the Nisbim Memorial 240 in the Baghdad (North Gate) War Cemetery in Iraq. The military death notice stated that he was a resident of Semley, Wiltshire. 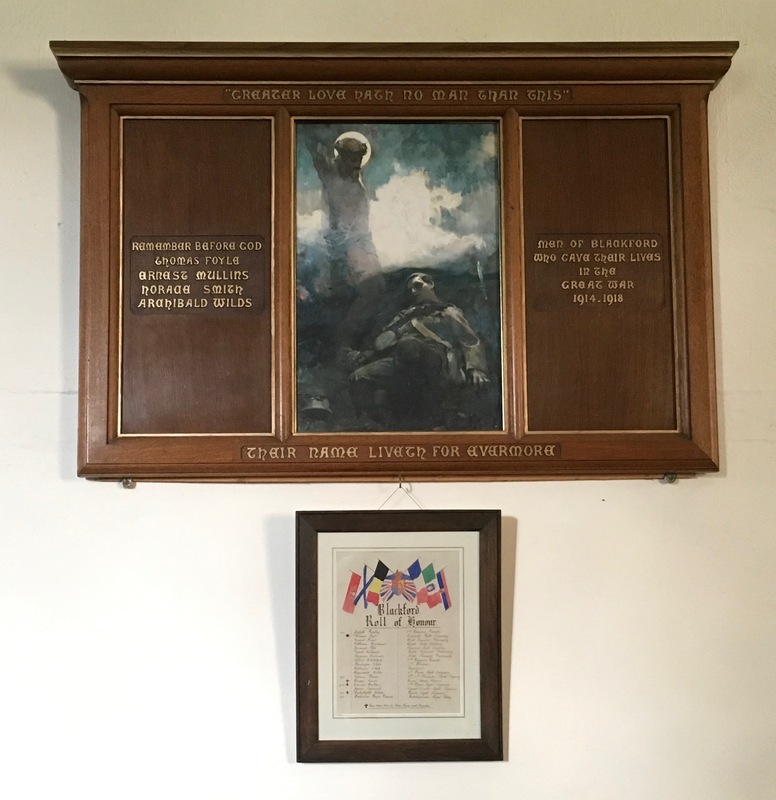 He was awarded the Victory and British War medals and is remembered on the War Memorial in St. Leonard's churchyard and on the Semley Baptist Chapel plaque, now in St. Leonard's Church. Clement Martin Maidment was born in Semley, Wiltshire, in 1897. He was the son of Thomas Clement Maidment and Ella Grace Maidment (nee Flint). At the time of the 1911 Census he was single, working as an Errand Boy and living at Knipe's Farm, Semley, Wiltshire. 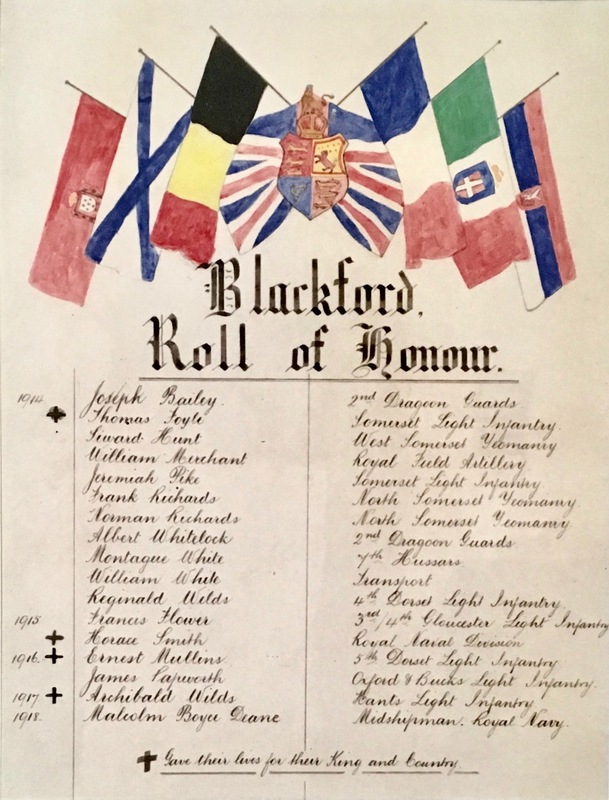 He enlisted in Dorchester on 8th September, 1914, as a Private in the 1st/4th Battalion of the Dorsetshire Regiment (Service No. 200907). He was posted to India from 9th October, 1914, to 26th February, 1917, when he joined the Middle East Expeditionary Force and was wounded on 26th September, 1917. He returned to India on 21st December, 1917, where he was hospitalized. He was returned to the UK on 5th January, 1918, and received further treatment but, on assessment, was declared unfit for further duty and discharged on 16th September, 1918. His pension, though shortlived, was equivalent £1.37p. per week. 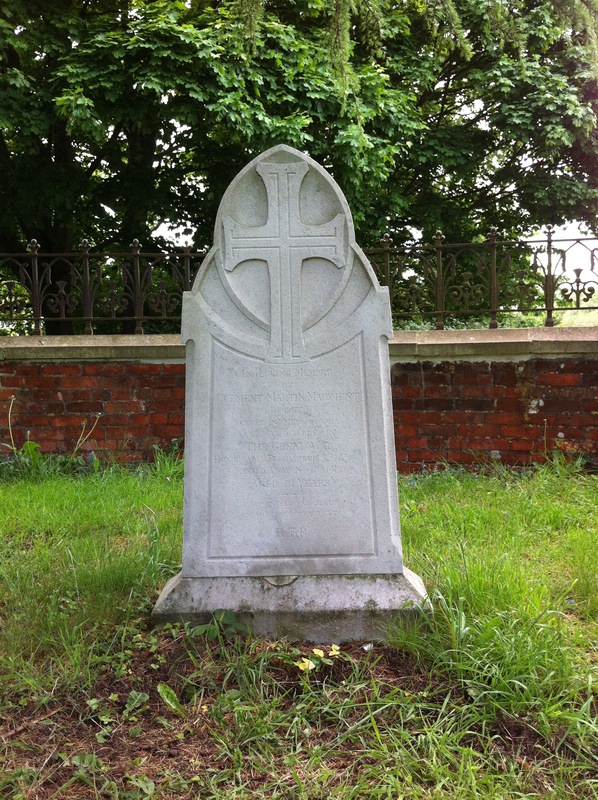 He died at home on 11th November, 1918, and was buried in the north-west corner of St. Leonard's Churchyard. He was awarded the Victory and British War medals. 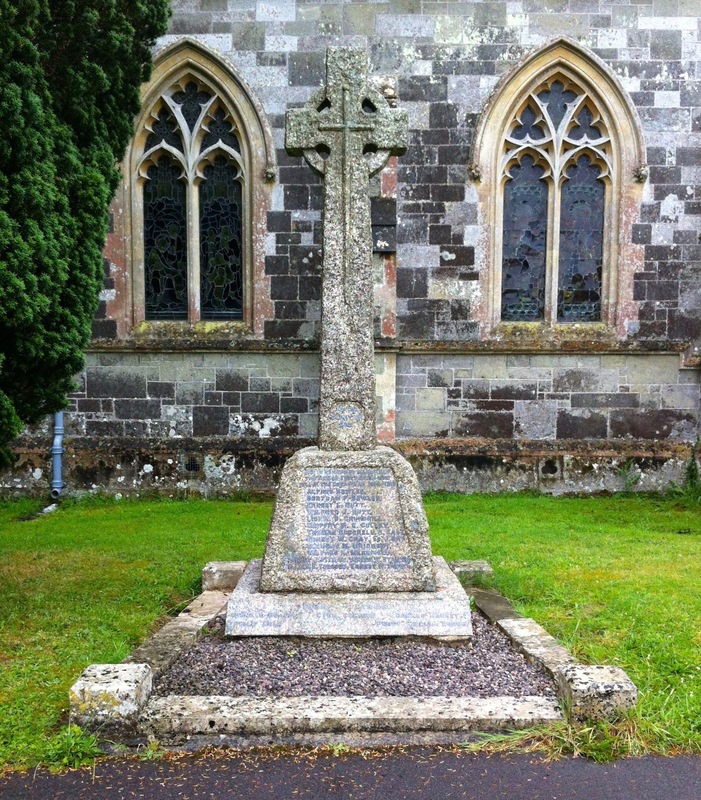 He is remembered on the Semley War Memorial in St. Leonard's churchyard, and on the Roll of Honour inside the church. 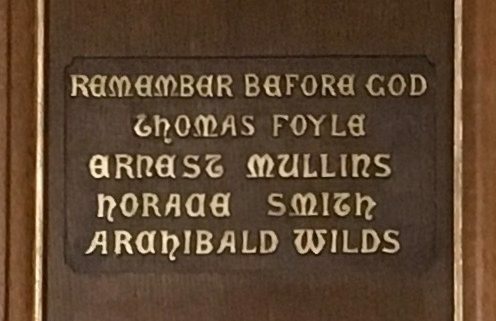 His name was included on the Baptist Chapel plaque, now also in the church. 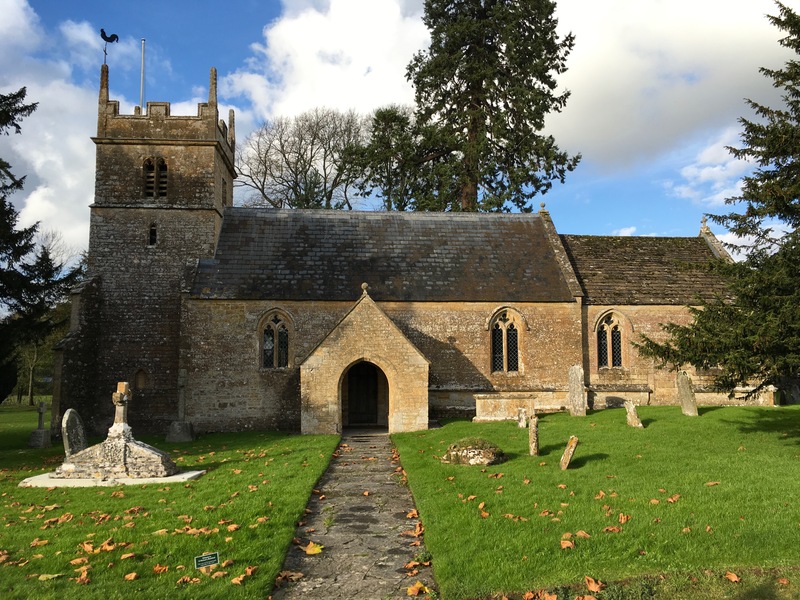 Stanley George Pitman was born in Motcombe, Dorset, in 1889, and was baptised there on 3rd December, 1889. He was the son of John Pitman, an Egg & Poultry Dealer, and Mary Ann Pitman (nee Phillips). His Mother died in 1898 and his father in 1907. At the time of the 1911 Census he was single, working as an Egg/Poultry Dealer and living with his uncle, William Pitman, at Semley Villa, Semley, Wiltshire. He enlisted in Salisbury as a Private with Royal Warwickshire Regiment (Service No. 5062) but later transferred to the 6th Battalion of the Dorsetshire Regiment (Service No. 19550). He served in France & Flanders and was awarded the Victory and British War medals. He died on 3rd September 1918 and was buried at Fienvillers British War Cemetery, Somme, France (grave id. D.14). 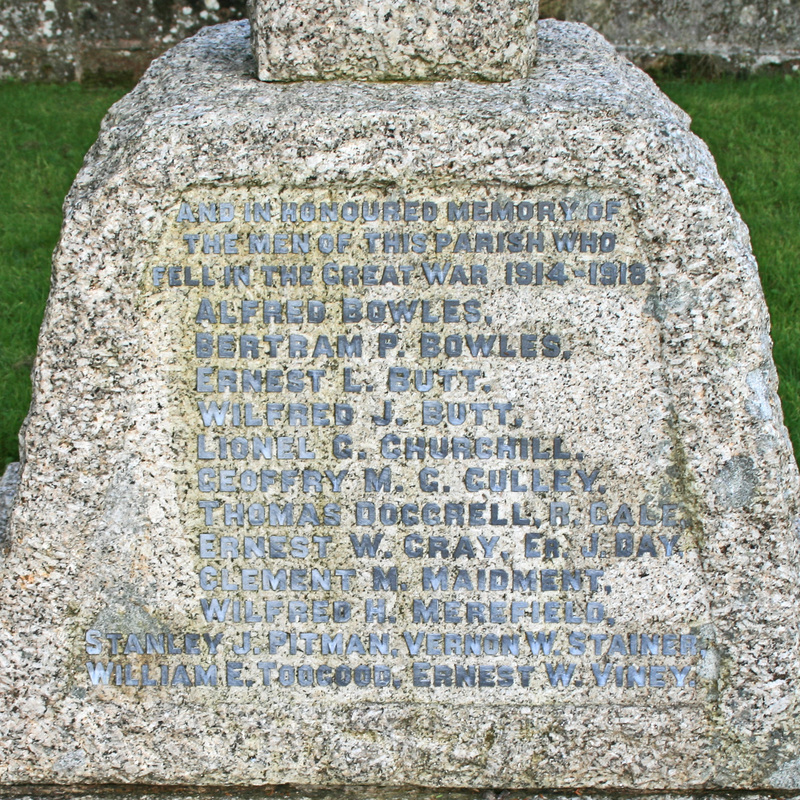 He is remembered on the Semley War Memorial in St. Leonard's churchyard, and on the Roll of Honour inside the church. His name was included on the Baptist Chapel plaque, now also in the church. His three surviving brothers were recipients of all monies due from Stanley's estate.